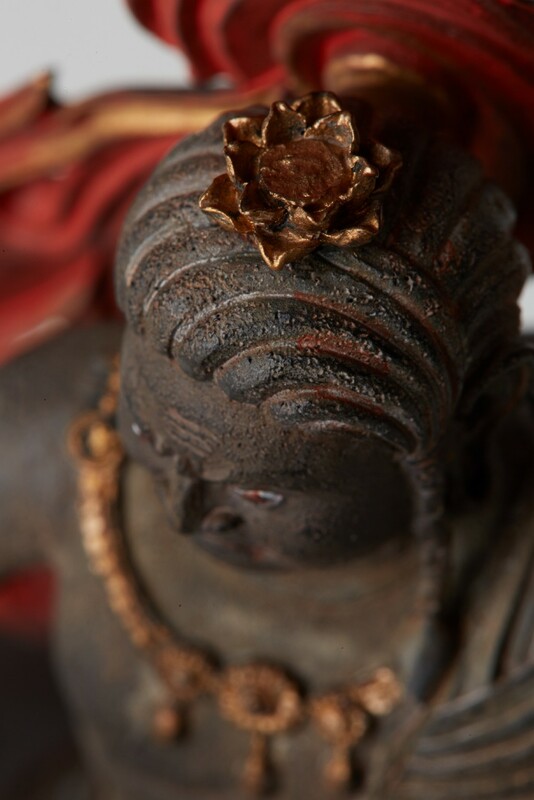 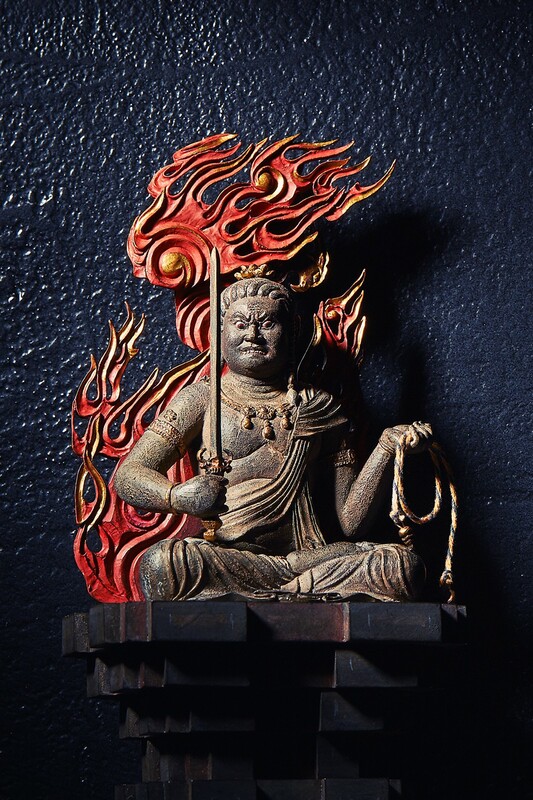 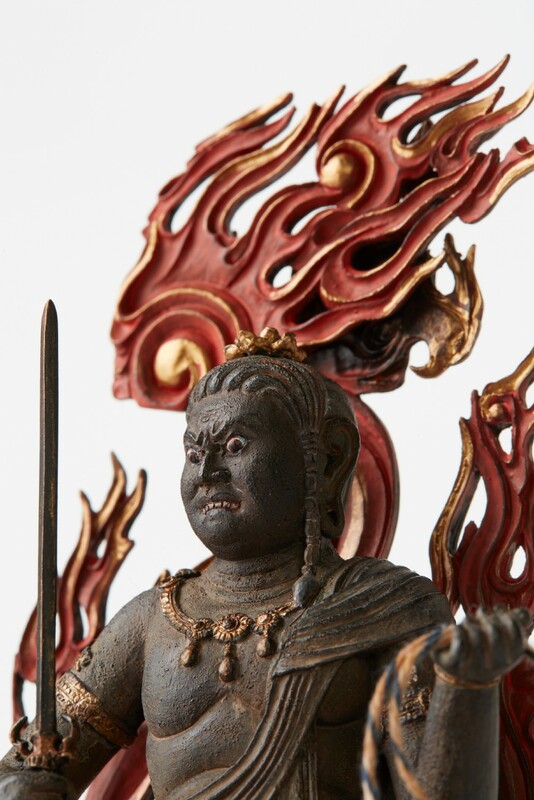 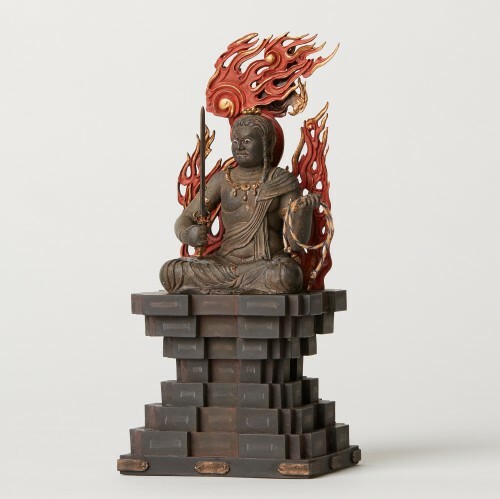 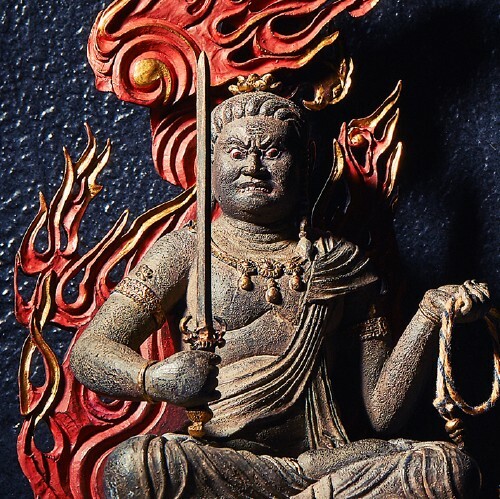 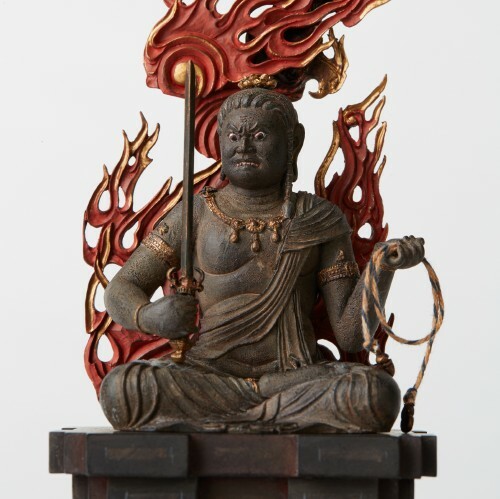 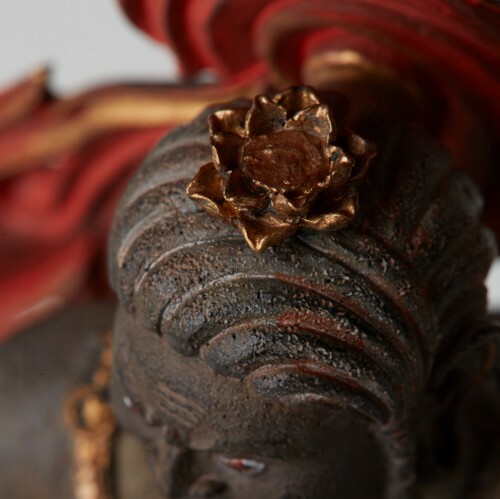 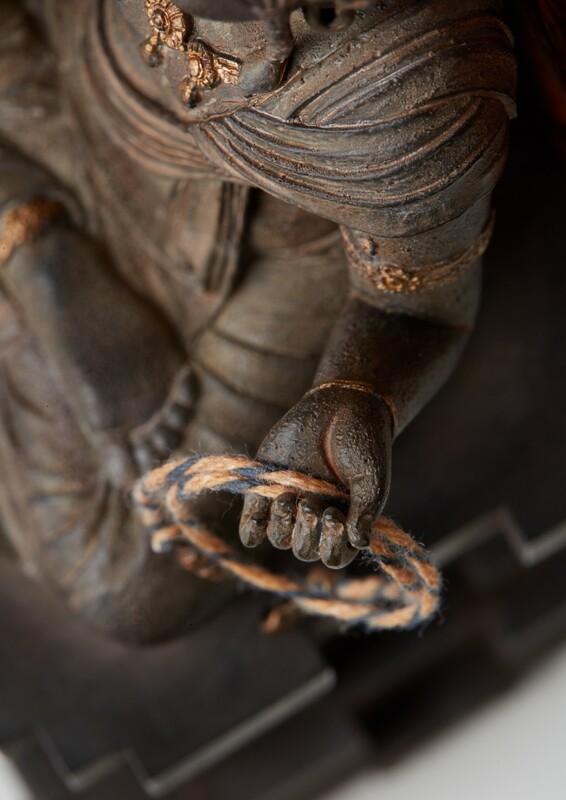 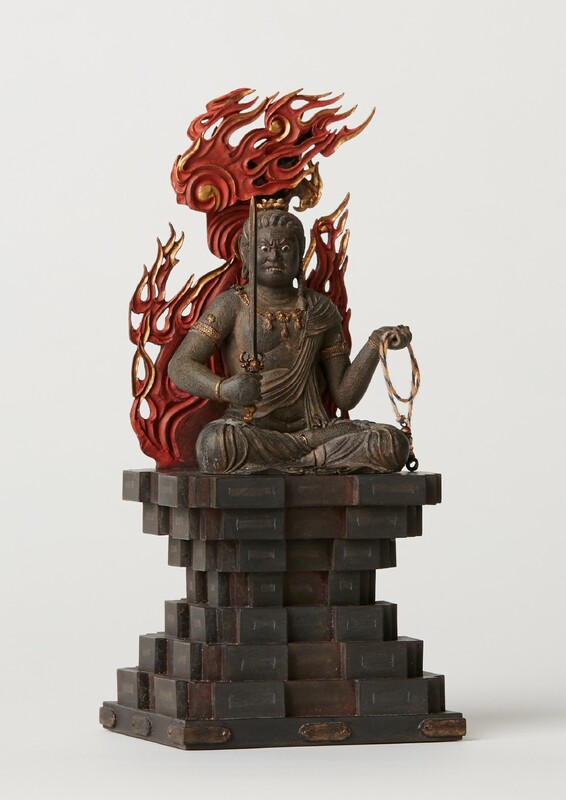 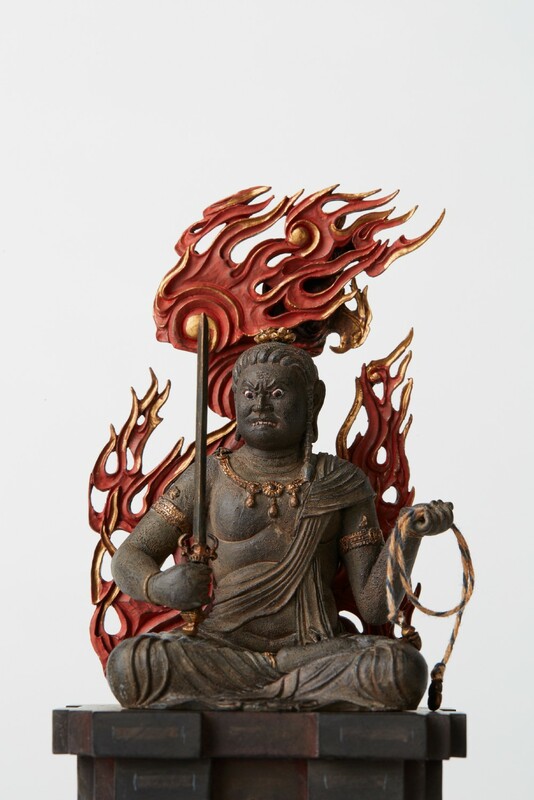 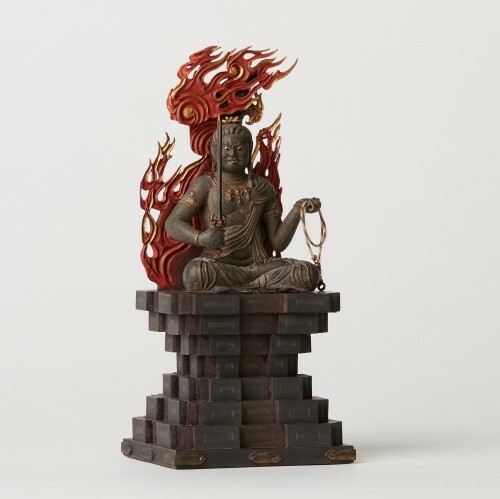 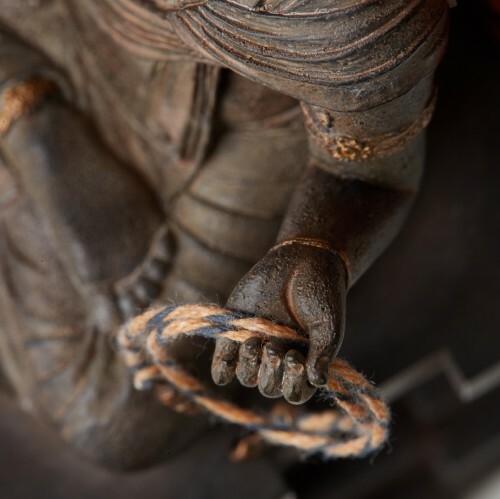 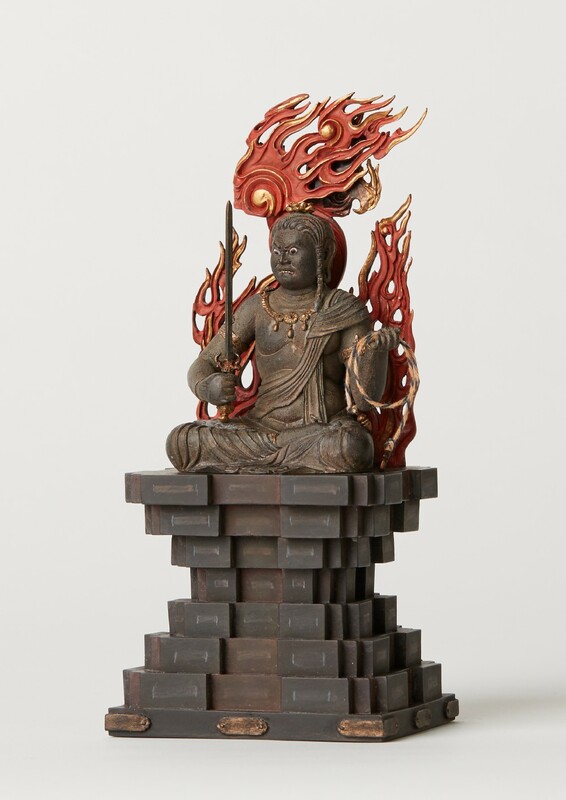 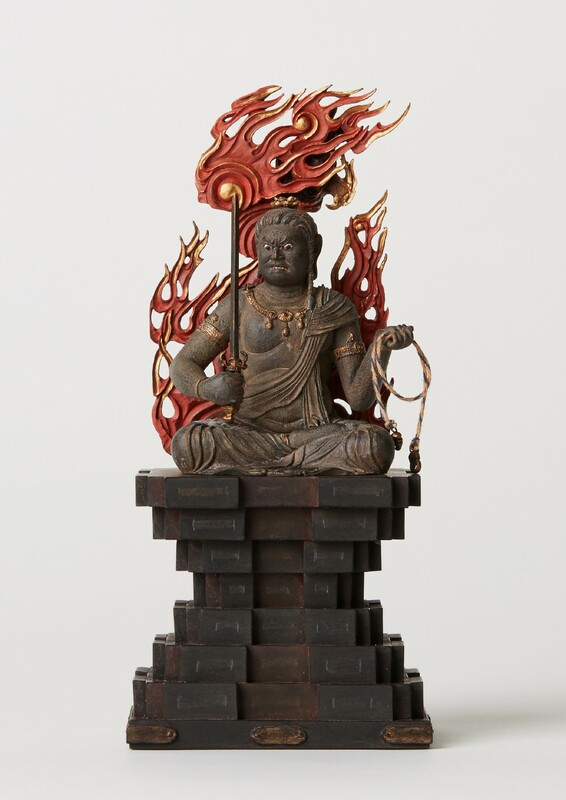 With great compassion and wrath, Fudō Myō-ō saves those who do not conform to the teachings of Buddhism. 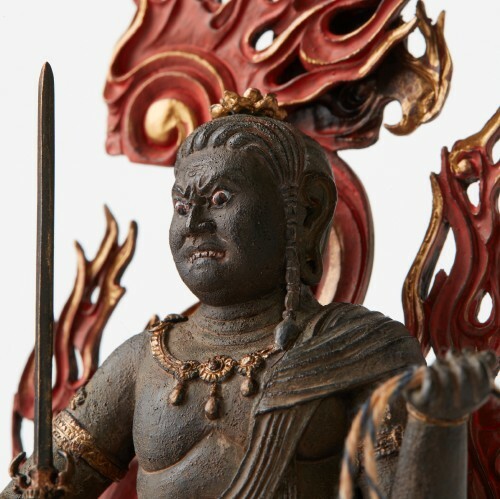 He takes on the expression of extreme wrath, to guide them into the right direction. 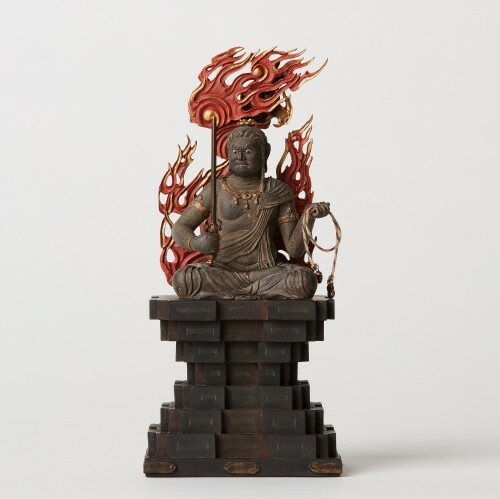 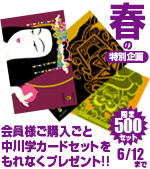 It is also a manifestation of his firm determination to save All the Living.